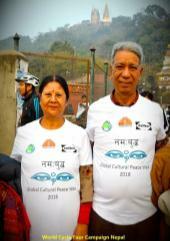 NBCP is pleased to invite the leaders, members, supporters, well-wisher, friends and family of International Cities of Peace to extend their peace initiatives through a one day event “Global Cultural Peace Walk (GCPW)” in Nepal https://www.youtube.com/watch?v=t8GeeXbGKas. NBCP anticipates participation from all Peace Cities with the symbol of their culture, included local traditional musical instruments indicating their identity. 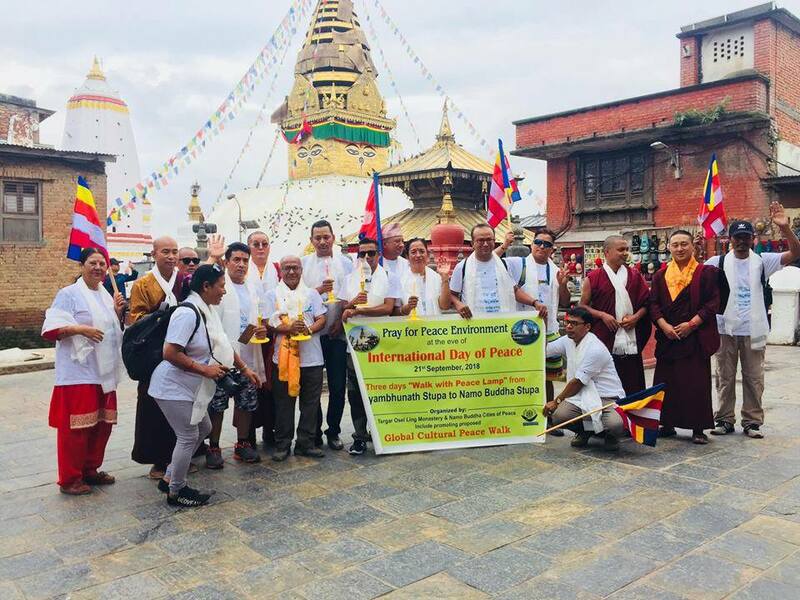 GCPW http://cbmnepal.org.np/home-2 walk is scheduled for Saturday 17th November 2018 (date to be confirmed) under the leadership of Charumati Buddhist Mission Nepal http://cbmnepal.org.np, with the inspiration from International Cities of Peace http://www.internationalcitiesofpeace.org and World Beyond War https://worldbeyondwar.org. This will be gentle walk of 2:30 hrs with 9.8 km from Panauti, birth place of Namo Buddha https://www.youtube.com/watch?v=f-Tmk0StWbE via Dhulikhel Municipality’s land https://www.youtube.com/watch?v=sA71mTMVoqU and reach at Namo Buddha https://www.youtube.com/watch?v=d4PgfeXfYS0&t=332s. The vision is to create the Namo Buddha circuit in a location of natural beauty to attract peace lovers and to promote a new form of tourism coming to Nepal from all corners of the world. 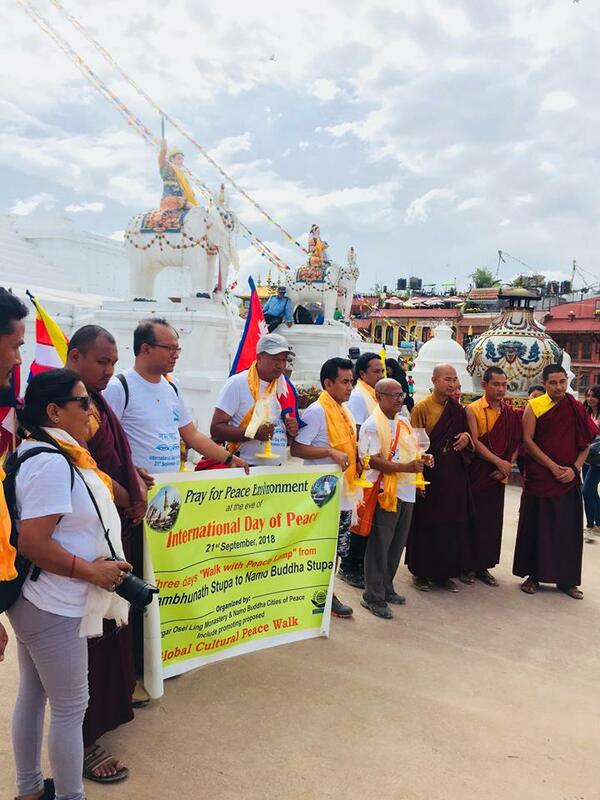 Here is a chance for all those taking part in the walk to match their foot prints with these the greatest of peace initiators who have instigated “Saving life and Peace” as it is the location where Namo Buddha and Siddhartha Gautama Buddha walked. 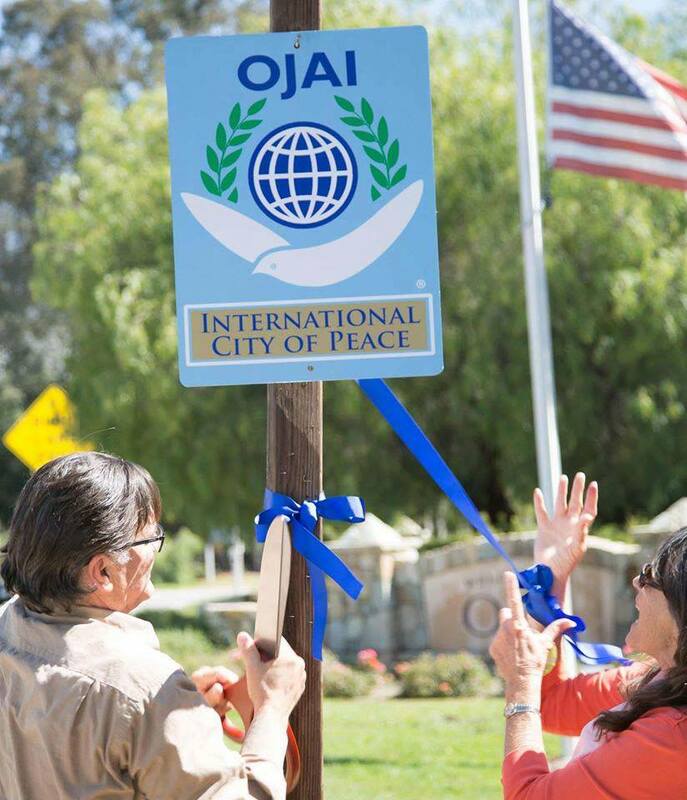 Let’s promulgate our friends, our family and the community to come together to create a vision of world peace, which starts within us. Everything depends upon the mind. We have all heard the saying that beauty is in the “eye” of the beholder. Buddha would say beauty is in the “mind” of the beholder! 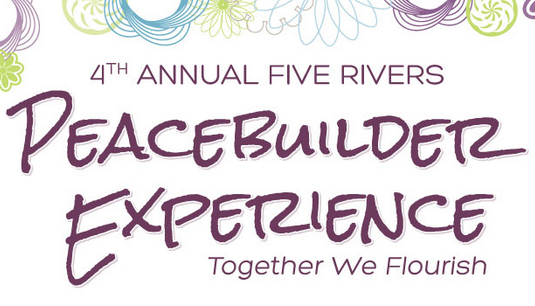 Buddha called us to provide sanctuary for the advancement of individuals towards peace and harmony. People from all around the world are welcome to participate in this great campaign regardless of faith and tradition. To make it a great success, Namo Buddha Cities of Peace invites all individuals and institutions to participate or to contribute to this wonderful and unique event. 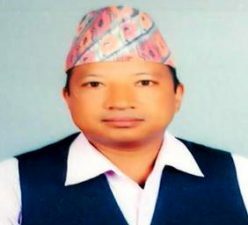 Subarna Shrestha is the Principle of Namo Buddha Higher Secondary School at Itay village in Kavre-Palanchowk District, since 1998. He has been a good and successful administrator and teacher who proved himself by assuring the survival and the security of this school and the safety of all its students, during the violent arms conflict period. He really enjoys his role as Principle of NBHSS because it is different every day. He loves leading the school, challenging teachers, children and supporting staff to be the best they can be. A good social worker and dynamic motivator, Subarna Shrestha has been driving Namo Buddha Higher Secondary School, making this private school the third best school for academic achievement in the whole Province. Beside his role in management and teaching students at NBHSS, Subarna Shrestha is actively engaged in a local “not for profit” organisation, called “Hamro Samaj”, dedicated to community development. He is instrumental to this organisation by bringing resources and delivering development at community level. Biswo Ulak is an expert on financial analysis and value chain marketing, with his proven record of accomplishment in operational and program management for three decades (1978-2008) of experience in different level/field i.e. accounting, auditing, financial and program management in Nepal Government and International Development Agencies. 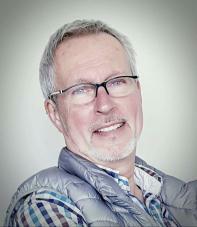 He has an additional decade (2008-2017) of experience of advisory on financial management and he is strategic in writing project concept note, proposal writing, formulation of new projects, M&E, designing philanthropic projects as well as marketing, bid proposal development and project/program management for I/NGO and international consultancies with diverse education in Business Management, Human Resources Management and Political Science. He was an instrumental in peace process between Nepal Government and Maoist in 2002-2007 from DFID (UK). He is involved in philanthropic issues since 1997, writing proposals for an NGO Centre for Research, Innovation and Training. He is involved with the NGO “Kavre Sewa Samaj” (Kavre Service Committee) for community development, writing articles on local issues and writing philanthropic proposals on conservation of natural and other resources management since 2011. 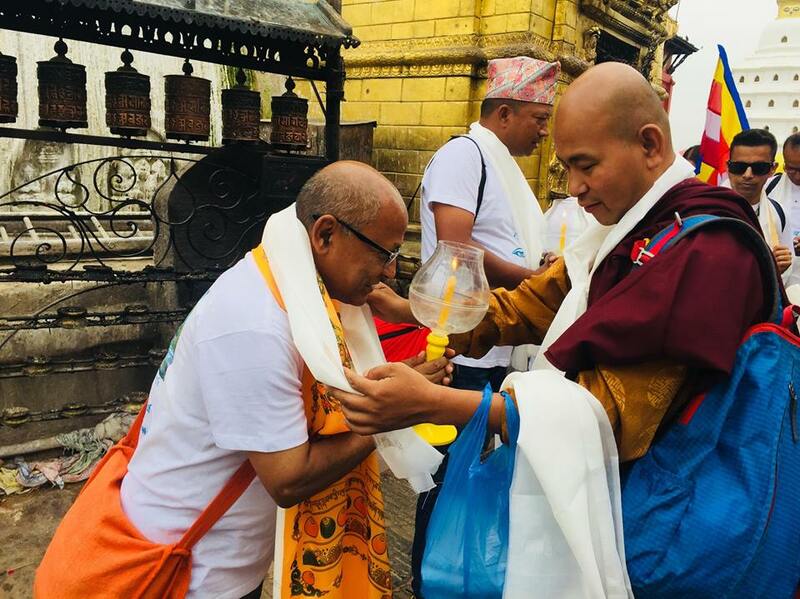 Similarly, he has initiated for a Global Culture Peace Walk linking to Buddhist Circuit engaging with Charumati Buddhist Mission, Nepal since last year 2017. 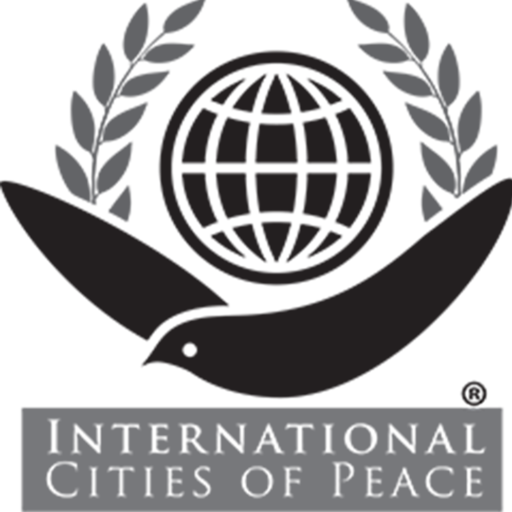 He respects other voices in rights based approaches considering the appropriate utilization of available resources with diversity principle and conflict sensitivity. Alain Rouveure was born in France and studied in Art College. 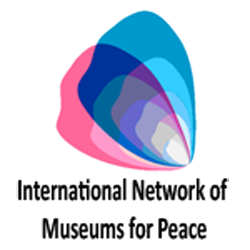 He worked in advertising in Lyon until he moved to the UK where he worked as an Interior Designer. His first visit to Nepal was in 1979-80, when stayed several months and fell in love with the country and people. 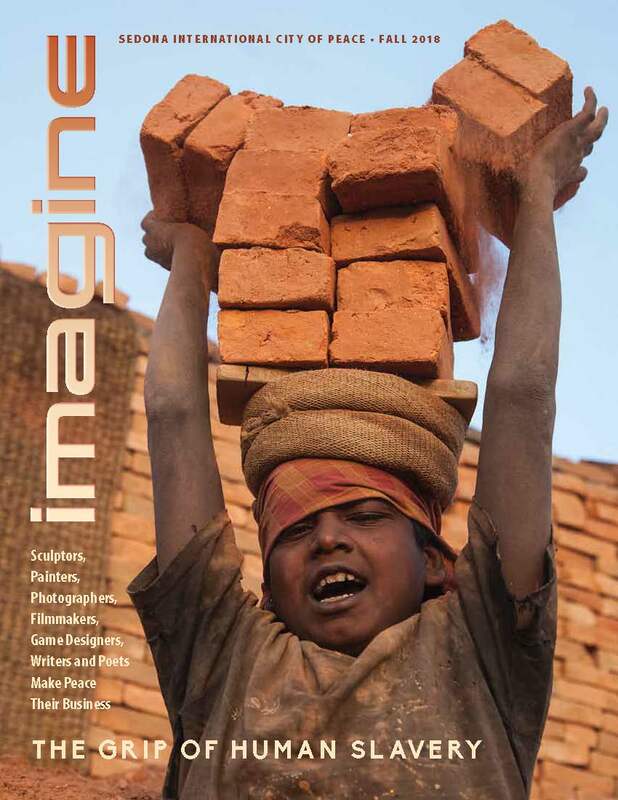 He established many lasting relationships with talented craftsmen and women in Nepal. Affected by the struggles many of them faced, he made it his mission to promote their culture and their work in the UK. Alain has been coming back ever since that time, and now spends a minimum of six months of the year, working in Nepal, doing important social work with disadvantaged children in rural areas. He personally sponsors several children with their health and education. Alain has been visiting Etay village and its community for nearly ten years. He spends a lot of his time as an adviser at Namo Buddha Higher Secondary School, Etay, where he also coaches students. The devastating earthquakes of 2015 prompted him to establish The Alain Rouveure Nepal Fund, (ARNF), a UK registered charity helping poor and vulnerable children, many of them abandoned, with health, education and security. The ARNF is also sponsoring the building of the reinforced earthquake-resistant community building/health post in the centre of the village, in association with Hamro Samaj, Etay. This essential and safe building will be able to shelter over 300 adults and children in case of disaster. Namo Buddha or Takmo Lüjin is an important Buddhist pilgrimage site of Nepal, and one of the three main stupas of the Kathmandu valley. Situated about 40 km to the south east of Kathmandu city, the stupa built on the bones and hair of prince Mahasattva (Tib. Semchen Chenpo), stands on the slopes of the Gandha Malla hill. According to the Jatakas and several sutras, Mahasattva was one of Buddha Shakyamuni’s former incarnations. He was the youngest of the three sons of king Maharatha. One day as the three brothers were walking through the forest, they saw a tigress with the five cubs she had given birth to. She was so hungry she could hardly move. 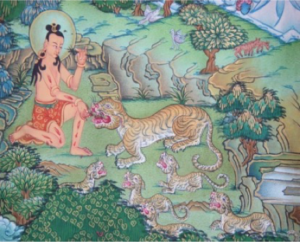 The three princes went away, but Mahasattva decided to go back and started to cut his flesh to give it to the tigress to eat. When his brothers went to look for him they found only his bones and hair. The stupa was built on top of these remains. Walking up the hill from the stupa, one can reach a place where the scene of the Buddha giving his body to the tigress is engraved in stone. According to the oral tradition, this is the actual place where the Buddha gave his body. Following the ridge to a second summit on the same hill, there is also a small stupa which is said to mark the den of the tigress. There, pilgrims lie down on the ground as if giving their bodies, and hair and pieces of cloth are hung to the branches of the tree for protection. On the eastern side of the hill resides the Thrangu Tashi Yangtse Monastery monastic complex built by Khenchen Thrangu Rinpoche. Dhulikhel is the administrative centre of Kavrepalanchowk District, Nepal and one of the tourist destination of Nepal. 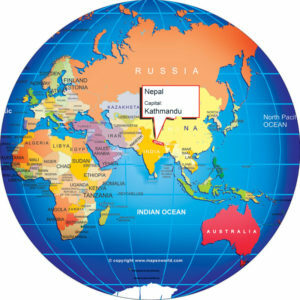 At the time of the 2011 Nepal census it had a population of 16,263 people in 3,291 households. Two major highway B.P. Highway and Arniko Highway passes through Dhulikhel. 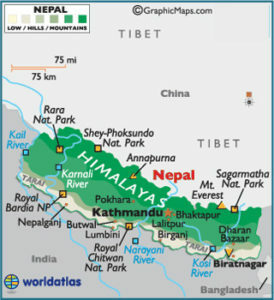 Araniko Highway connects Kathmandu, Nepal’s capital city with Tibet’s border town of Kodari. Dhulikhel is located at the Eastern rim of Kathmandu Valley, south of the Himalayas at 1550m above sea level and is situated 30 km southeast of Kathmandu and 74 km southwest of Kodari. The people in the village are Newars, Brahmin, Chhettri, Tamang and Dalit. Drinking water in Dhulikhel is some of the best water in Nepal. It was made with the Help of the German NGO, German Technical Cooperation. Temples: There are numerous temples in the town depicting traditional and old Newari craftsmanship. These are places of worship for local people. The core area of Dhulikhel has interesting narrow cobbled streets and lanes embedded with number of Hindu Shrines and a few Buddhist Stupa. In the centre of the old town is the Narayan Temple with its yellow metal roofs. It is dedicated to Lord Krishna whose birthday is celebrated in August. Alongside is the Harisiddhi Temple. Both the temples are adorned with profuese wood carvings and fronted by two Garudas. Bhagwati Temple is situated at the top of the western part of the town. The GaukhureshworMahadev Temple is on the east of the town near Tundikhel Recreation Park. Further up hill, is located the Bhagwati (Kali) Temple, which is a pagoda. Panauti, a small town located 32 km Southeast of Kathmandu, located in the central regions of Nepal. The town is chock-a-block with temples and other religious sites. Temples are predominant of course, with there being more than 40 temples dedicated to various deities spread around the small one-kilometer town. 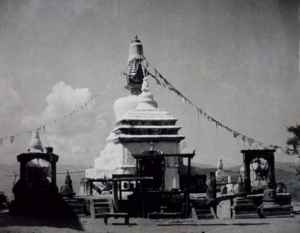 There are a half dozen or so stupas and three dyochhens (communal houses in which a deity idol resides in the upper room) along with one bahal (Buddhist shrine). In line with its rich cultural heritage, the small town also has plenty of patis, or public resting places, three dabalis (platform for theatrical shows), and six stone water spouts known as dhunge dharas, besides three public squares known as chowks. One of the largest temples is the three-storied temple of Indreshwar Mahadev which stands at the center of a courtyard paved with brick. Its architecture is an excellent example of Newari craftsmanship as are those of Krishna Temple, Unmata Bhairav Temple, and Ahilya Temple situated nearby in the same courtyard. Other temples of note are the 17th century temple of Brahmayani and the Krishna Narayan Temple at the Triveni Ghat.